We were delighted to pick up the award for Best Distributor at the Electric.ie Awards this year. 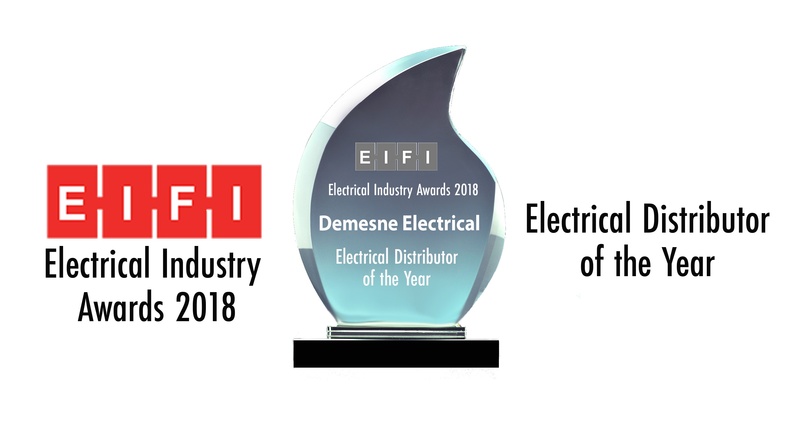 The awards are voted for by people employed in the electrical industry all over Ireland, so to win such a coveted award meant a lot to us in Demesne. With our continuing investment in our staff, procedures & infrastructure and a strong vision of what the next 5-10 years looks like for Demesne, we will continue to go from strength to strength. Thanks to all our loyal customers for their support over the years & of course to our hard working staff who made it all possible.